From organic, antibiotic, free range cattle. Helpful for the elevated liver enzymes & anemia. Provides energy, boosts metabolism to break down fat. Milk thistle supports this product & is recommended for liver issues. Please find ingredient, dosage and other important information below. Made from organic, hormone-free, fresh beef livers from grass fed New Zealand cows. A safe, holistic and effective process for supplementing your dog’s compromised liver. Glandular therapy is often recommended by holistic veterinarians. It involves feeding healthy forms of organs, glands as well as tissue to both dogs and cats. The belief is that you provide your pet with the organ or gland from a healthy animal; that is failing in your own pet’s body. In this case it would be his or her liver since that’s what we’re discussing. **IMPORTANT NOTE – PLEASE READ** The glandular or organ meat that you use for your dog, should come from animals that are fed the right diet for their own particular species. The animals should have also lived a life of pasture grazing. Why? Because animals that live lives of confinement and eating a diet that is unnatural to them, live lives of stress, increasing the chance of disease in the animal. The point is; you don’t want to feed your sick dog, organs, glands or tissue from a diseased or sick animal. 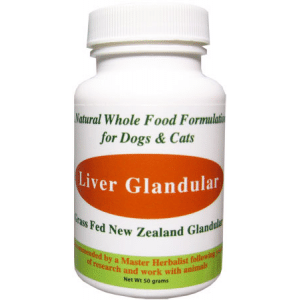 What Are the Advantages of Including Liver Glandular for Your Dog? Liver is one of the most nutrient-dense foods in the world, liver’s reputation as a super food is unmatched. Unfortunately, it has vanished from many diets and can be hard to find – even for your four-legged friend. And liver is, without question, a favorite food of dogs. Wolves in the wild seek out organ meat, especially when they need nutrients that they are otherwise lacking. Dogs and animals of all stripes know how to internally manage the harmonizing of their nutritional regimens, but liver isn’t always in abundance. 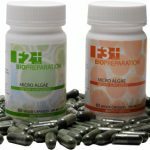 The health benefits are clear – -our liver glandular is a nutrient-dense source of top-tier protein. 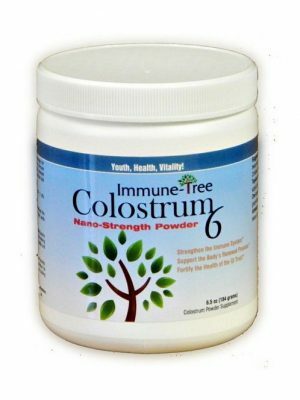 It helps nourish a distressed liver due to liver disease or anemia. Comes from healthy, free range, antibiotic and hormone free animals. Your dog will highly benefit from the enzymes, proteins, fat and soluble vitamins and omega 3 fatty acids found in our desiccated liver. A valuable source of vitamin A found in nature and includes a high dose of B complex which includes B12 as well as amino acids and other vitamins and minerals. Our desiccated liver for dogs comes from New Zealand grass-fed cattle. There are no other ingredients in our product. For every 20 pounds, feed 1/4 level tsp daily. Divide equally and give with your dog’s morning meal and dinner. Carbohydrates, along with soluble fiber, especially oatmeal, are what work best for dogs suffering from a liver disease. Since fat is necessary for energy, it is important that one feeds one’s pet only easily digestible fats, that too in small quantities. Cottage cheese, non-fat yoghurt etc. are some good options. The best alternative would be to give glandular therapy. Homemade meals for dogs should be a mix of low-fat meat as well as vegetables. Fish can be very beneficial in case of a liver disease, but it should be mixed with carrots, yellow squash, and green beans for a balanced diet. Boiled eggs, cottage cheese, oatmeal, and others make for a good homemade diet for an ailing dog.